Heroin and fentanyl are both opioids, but they have some very important differences. 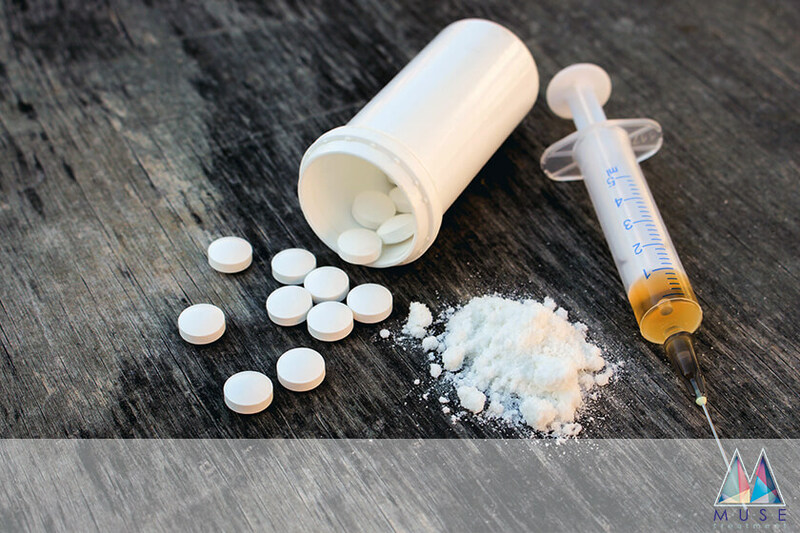 Click here for an in-depth analysis of heroin vs fentanyl. Opioid deaths have risen at an alarming rate in the past ten years. While both are considered opioids, the differences between fentanyl vs heroin are significant. Fentanyl is a pharmaceutical drug intended for medicinal use. It’s a prescription drug often given for pain. Heroin is illicitly manufactured and has no medical value. Both drugs have a similar effect on the body and carry a high risk of addiction and abuse. It’s important to know the differences between heroin and fentanyl. To learn more about these two drugs and their risks, read on. Both fentanyl and heroin are considered opioids, but their origins differ greatly. Heroin is made from morphine. Morphine is a natural opiate substance extracted from opium poppy plant seeds. It’s produced by combining morphine with the chemical reagent acetic anhydride. Heroin was originally made by chemists in the 1800s. It was a failed attempt at creating a less addictive form of morphine. Because it is processed with another chemical, heroin is considered semi-synthetic. Its scientific name is diacetylmorphine. Drug tests sometimes cannot differentiate heroin from morphine. This is because it’s metabolized into morphine by the body. Opium is grown by drug traffickers. These traffickers process morphine into heroin before shipping it out to other countries. Fentanyl is similar to morphine but is made synthetically in reputable labs. Its chemical structure differs slightly from heroin. Some fentanyl is produced illegally and without regulation in countries like China and Mexico. How are Fentanyl and Heroin Used? Fentanyl, when prescribed by a physician, is given as a transdermal patch, an injection, or as a lozenge. It’s prescribed as a pain-killer. Fentanyl, like other controlled substances, is generally prescribed for a short period of time. Fentanyl is a powerful analgesic that’s used to treat severe pain after surgery and for chronic pain in those who are already opioid-tolerant. Since it’s used medicinally, it’s classified by the Drug Enforcement Administration as a Schedule II controlled substance. Heroin, on the other hand, isn’t recognized as having a medicinal purpose. It is illegal and is classified as a Schedule I controlled substance by the DEA. The main difference between fentanyl and heroin is potency. Fentanyl is about fifty times stronger than heroin and around 80 times stronger than morphine. Its much higher potency makes fentanyl a very dangerous drug. It’s far easier to fatally overdose on fentanyl than with heroin and other opioids. When used illicitly and mixed with other drugs, it’s difficult to tell how much fentanyl is actually being received, as the grains of the drug don’t disperse evenly. Fentanyl is so strong that an overdose can occur within seconds. Also, it requires a greater amount of naloxone, a medication used to quickly reverse an opioid overdose, to revive someone. Only two milligrams of fentanyl, the equivalent of a few grains of salt, is considered deadly. Fentanyl can also trigger chest wall rigidity, a condition that’s called “wooden chest syndrome.” This makes resuscitation efforts such as chest compressions difficult to impossible, as the muscles of the chest and abdomen seize. Though their actions are similar, fentanyl and heroin have different chemical structures. This difference in structure makes fentanyl much more potent than heroin because it allows for a greater opioid receptor affinity. In other words, it binds to receptors more quickly and tightly than heroin. Chemicals in both drugs bind to opioid receptors in the brain. Fentanyl travels to these receptors much faster than morphine, a byproduct of heroin breakdown in the body, because it passes through the fat in the brain more easily. Fentanyl also has a very strong affinity for these receptors, so even a slight amount can initiate strong effects on the body. Fentanyl, like heroin and morphine, can cross the blood-brain barrier that usually keeps harmful substances out of the brain. Opioid molecules are fat-soluble and non-polar. Both of these properties make blood-brain barrier penetration possible. Fentanyl’s variation in molecular structure makes it even easier for the drug to penetrate the brain’s defense barrier. Opioids are extremely addictive drugs that quickly cause users to develop a tolerance and dependency. Both heroin and fentanyl have the capacity to turn users into addicts after only a short period of use. Drug tolerance is when a user doesn’t respond to a drug the same way they initially did. It takes higher doses of the drug to achieve the initial effect. Dependence occurs when the neurons in the brain have adapted to frequent drug exposure and can function normally only when the drug is present. When the drug isn’t present, the user experiences unpleasant withdrawal symptoms. Because fentanyl is so potent, the chance of developing tolerance and dependence is much greater and happens more quickly than with heroin. Fentanyl, unlike heroin, is a prescription drug. It is available to people suffering from pain. This adds a new risk when it comes to addiction. Because the drug is not illicit, it must be used carefully and in a controlled manner. It has become increasingly common for people who had not previously had drug problems to become addicted to opioids after prescription use. When the prescribed drug is no longer available, the user may seek illicit drugs because of dependency. Addiction to heroin and fentanyl are approached in similar ways. It’s common for users to go through a medication-assisted rehabilitation program. These combine behavioral therapy with controlled doses of medications that ease withdrawal and cravings. Medication-assisted treatment, or MAT, increases a person’s success rate when overcoming addiction. It teaches them coping mechanisms while supporting them with medicines that alleviate unpleasant physical and mental withdrawal symptoms. It’s important for the general public to understand the risks of using opioid drugs, either by prescription or illicitly. These drugs have the potential to create addicts and destroy lives. Fentanyl’s potency increases this potential. If you or someone you love is facing addiction, we can help. At Muse, we have an amazing staff of experienced, skilled professionals who are dedicated to helping you overcome addiction so you can reclaim your life. Don’t hesitate to get the treatment you need. Please contact us today for more information.